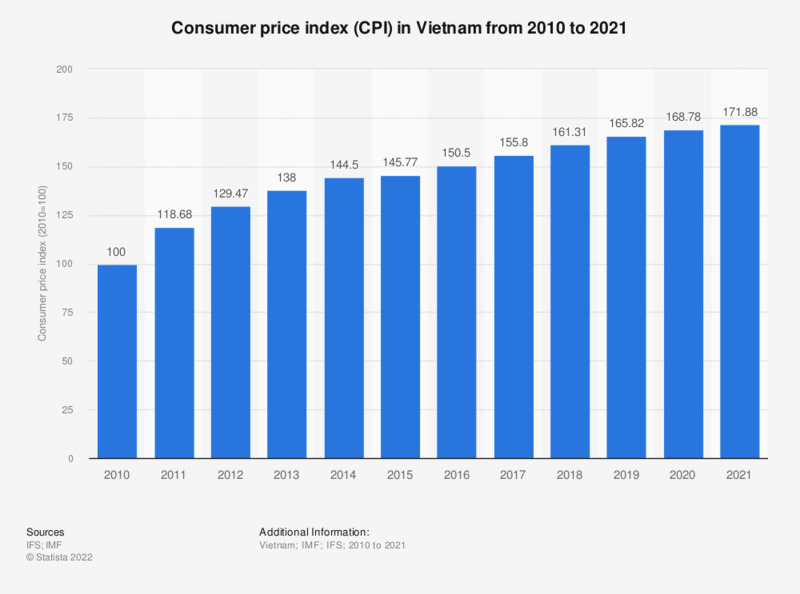 The statistic shows the consumer price index (CPI) for all items in Vietnam from 2010 to 2018, with 2010 as the base year (2010=100). In 2017, the consumer price index was at 155.8 and reached 161.31 in 2018. The consumer price index measures the changes in the prices paid by consumers for a market basket of consumer goods and services with 2010 as the base year (2010=100).